Is paid upon initial registration of your child and is non-refundable should you withdraw or cancel enrolment. This is one-time fee for the duration of your child's enrolment at the nursery. A security deposit fee will be invoiced to you during Term 3 (April-June) to secure your child's place for September. Deposits will be deducted from your child's Term 1 fee. 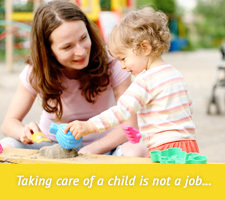 One term written notice is required for the refund of deposit, if the child is leaving before the end of the year.